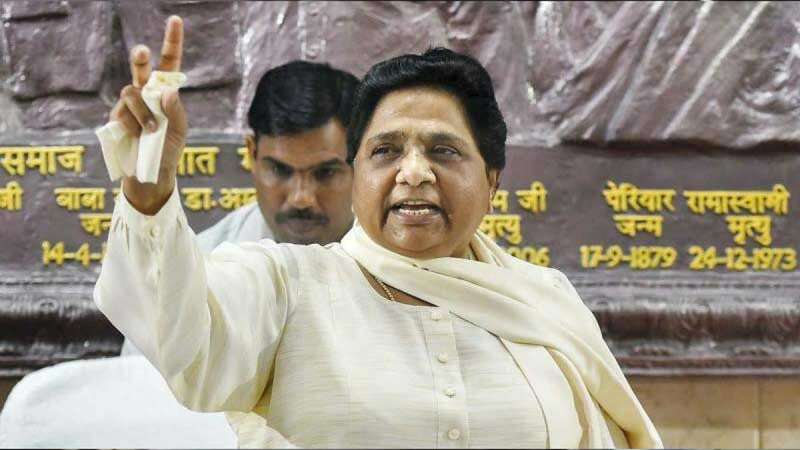 Lucknow : Days after PM Narendra Modi launched a brand new campaign - 'Main Bhi Chowkidar', Bahujan Samajwadi Party chief Mayawati has taken a dig at him saying now 'Chaiwala' has transformed into a 'Chowkidar'. "After BJP launch 'Mai Bhi Chowkidar' campaign, PM Modi & others added the prefix 'Chowkidar' to their Twitter handles. So now Narendra Modi is Chowkidar & no more a 'Chaiwala' which he was at the time of last LS election. What a change India is witnessing under BJP rule. Bravo!" she wrote on Twitter. In Uttar Pradesh, Mayawati has joined hands with Samajwadi Party chief Akhilesh Yadav to fight against Narendra Modi. PM Modi's campaign in the 2014 national election was greatly powered by his account of a "chaiwala" or tea-selling stint in his teens. The BJP came to power with a giant mandate, wiping out the Congress after two terms. For years now, Prime Minister has been branding himself as 'chowkidar', guarding the nation against corruption. Launching the new 'main bhi chowkidar' campaign, Prime Minister Narendra Modi wrote, "Your Chowkidar is standing firm & serving the nation. But, I am not alone. Everyone who is fighting corruption, dirt, social evils is a Chowkidar. Everyone working hard for the progress of India is a Chowkidar. Today, every Indian is saying-#MainBhiChowkidar."